Session Legend Carol Kaye Interview! 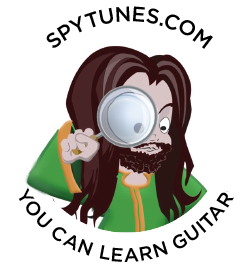 Regular Spy Tunes student Jeff from the Caribbean Island Grenada just sent me this 1 hour 10 min interview with Carol Kaye. It’s so brilliant I felt I had to share this with you, enjoy! Perhaps the most interesting part of this video is how openly Carol speaks about how different musical styles influenced Soul and Rock and Roll, essentially modern music. Carol is mainly known for her bass playing with the Beach Boys and various recordings for record labels such as Motown but she actually started out as a guitar player. Kaye really is one of the musicians that shaped modern music. Watch the video above to hear how Carol happily shares her tricks and life story in music. Personally, I very much enjoyed her explanation of the cycle of 4th at 23:00. This has always been one of the main topics I always make sure I hammer home to my students.